TOKYO (TR) – As a part of the investigation into the alleged fatal stabbing of a 31-year-old Japanese woman by her American husband at a courthouse in Chiyoda Ward on Wednesday, police have discovered multiple knives at his residence, reports Fuji News Network (Mar. 23). At just after 3:00 p.m., the American, 32, who has not yet been named, allegedly used a knife to slash the neck area of Japanese national Kyoko Wilson on the first floor of the Tokyo Family Court. Wilson, a resident of Tokorozawa City, Saitama Prefecture, was later confirmed dead at a hospital. After the incident, the suspect fled the scene. 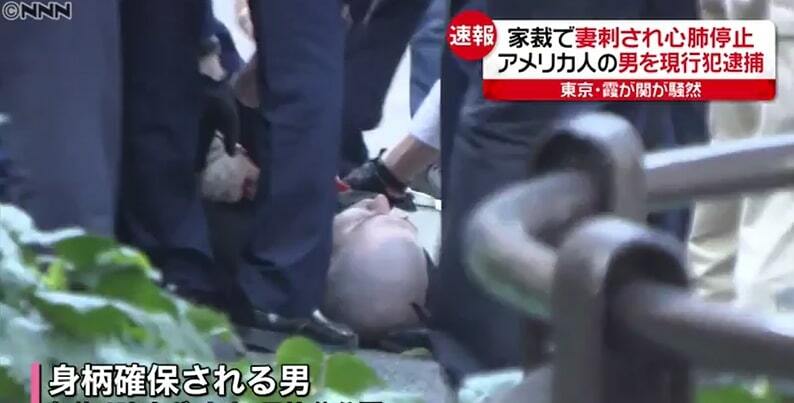 He was later apprehended in nearby Hibiya Park on suspicion of attempted murder. At the time of his arrest, the suspect possessed three knives, police said previously. 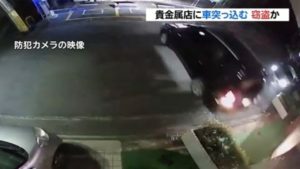 Wilson and the suspect were separated, with him living in Tokyo’s Itabashi Ward. On Friday night, officers searched his residence and discovered four knives — one with a blade measuring 9 centimeters in length — and six bottles of a liquid that is believed to be kerosene. Police also revealed that the results of an autopsy indicated that Wilson died due to a loss of blood from a single wound. Upon his arrest, the suspect remained silent. While withholding the suspect’s identity, police are attempting to determine whether he has the mental capability to be held criminally liable for the crime. Facebook and Twitter accounts from a person claiming to be Wilson’s husband state that Wilson disappeared with their son last August and describe her as having suffered from “mental health problems” since the boy was born. Prior to the incident, Wilson arrived at the courthouse to engage in a divorce procedure. The suspect then allegedly ambushed her just before a metal detector, police said previously.